Kerala Gods own country which was once a summer capital for Britishers in the Southern part of India , now a major tourist attraction of India. The malabar coast , tea gardens , spice parks and the greenery , all in all as a carpet going from Hills to the sea. Resently Kerala – Gods own country was designated as one of the best destinations in world for Family holiday in a list which included New york city , Iceland , Denmark , Prague , Italy and Macau. Very few knows that way back in 2000 Kerala was voted as one of the best places in the world for an enthralling leisure experience by National Geographic Traveller. The proudness which i felt because of this inclusion of Kerala – God Own Country in the best destination list by lonely planet has made me to come up with this blog about the places or the havens of Kerala gods own country. It is one of the attractions that contributed to Kerala’s popularity as a travel destination among domestic and foreign travellers. 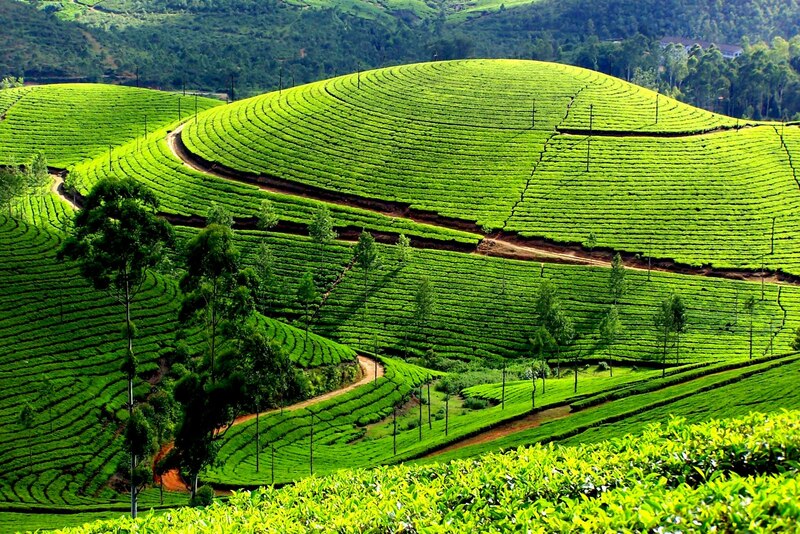 Situated at the confluence of three mountain streams – Muthirapuzha, Nallathanni and Kundala, and perched about 1600 m above sea level, the hill station of Munnar once used to be the summer resort of the erstwhile British administration in south India. Tea Museum – Munnar has a legacy of its own when it comes to the origins and evolution of tea plantations. Taking account of this legacy and to preserve and showcase some of the exquisite and interesting aspects on the genesis and growth of tea plantations in Kerala’s high ranges, a museum exclusively for tea was opened some years ago by Tata Tea in Munnar. This Tea Museum houses curios, photographs and machineries; all of which have a story to tell on the origins and growth of tea plantations in Munnar. The museum is located at the Nallathanni Estate of Tata Tea in Munnar and is worth a visit. Kuttanad – also very famously tagged as Rice Bowl of Kerala , an agrarian town known for its rural tourism , just passing by on the roads one can witness the beauty of rice fields on the sideways farmers doing the chores of daily life. Kuttanad possesses a socio cultural fabric , four of main rivers crossing through this town – Pampa , Meenachil , Achankovil and Manimala , give this small town the feature of Rice bowl of Kerala and also as one the main tourist havens of Kerala Gods own country. 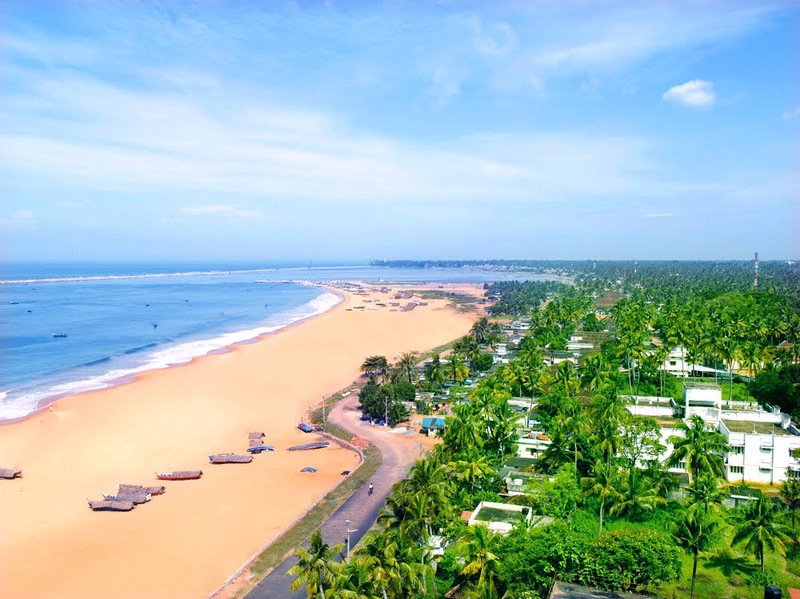 Name Bekal finding its origination from the word Baliakulam – which means Big Palace. 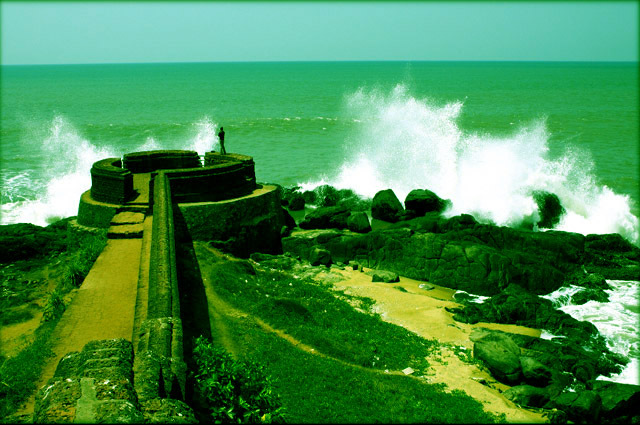 Here one can find a Keyhole shaped fort which is the largest and the best preserved fort in the whole of Kerala – The Bekal Fort. The beautiful expanse of the shallow beach near the Bekal fort known as Bekal Fort Beach has been developed as an exotic beach location . The beach gets illuminated during the evening hours so that tourists can spend more time at the beach even after the sun sets. A Bio Diverse region spread across 2132 sp kms on lofty western ghats , one of the few districts in kerala that has been able to preserve its pristine nature and beauty. Inhabited by some of the oldest of tribes , yet it holds the tag of being untouched by civilization. Known for its strikingly scenic beauty , sub tropical savannahs , picturesque hill stations. One of the main attraction being the centre of spice plantation , of which 80% exported to other countries or in a way we can say its the Bowl of Spices in Kerala. Luxuriant forests and rich cultural traditions , thanks to the oldest tribes still inhabiting the inner parts of the jungles. 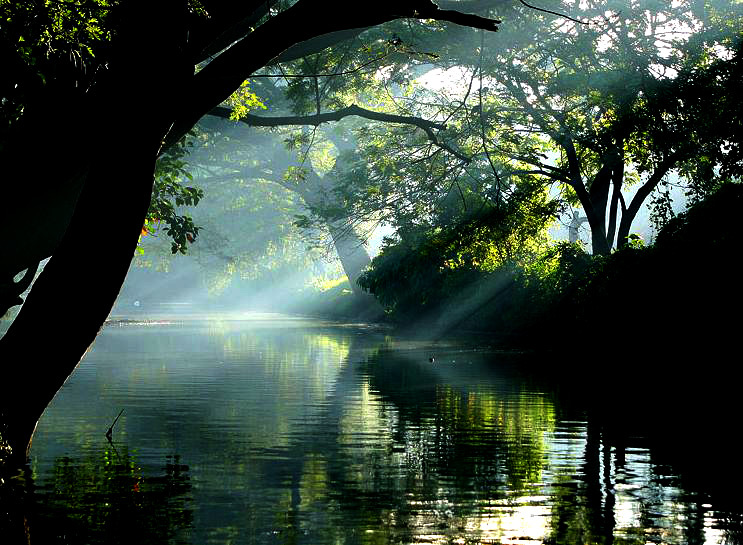 Wayanad is a holistic confluence of wilderness , history and culture. Tagged as the leading trade capitals of the old world , its the countries centre for Cashew production , processing and trading. Extolled by Marco Polo and Ibn Batuta once this was the famous port of international spice trade. To feel the best of Kollam , one has to go through the longest backwater trip on a boat , this 8 hr long trip would take one from Kollam to Allappuzha , giving the enchanting experience on the backwaters of kerala. Backwater boat trip was started by a couple way back some 20 yrs ago , now it has become the main activity of tourism industry of Kerala Gods own country. Now a days even conferences have also started being organised in luxurious big boats. A 2,695 mtr tall mountain , highest point in India outside the Himalayan range of mountains. Standing tall in Eravikulam National Park , home for the largest surviving population of Asian Elephants , Gaurs ( Not me ) and the Nilgiri Tahrs. The mountain covered with evergreen forests and inhabited by the endemic flora and fauna and a vibrant avian life is a paradise in the world. The Green forests of Anamudi is also the source of some large and scenic rivers in Kerala and the adjacent state Tamil Nadu , these rivers give birth to water falls and adding to the picturesque experience of Anamudi mountain. 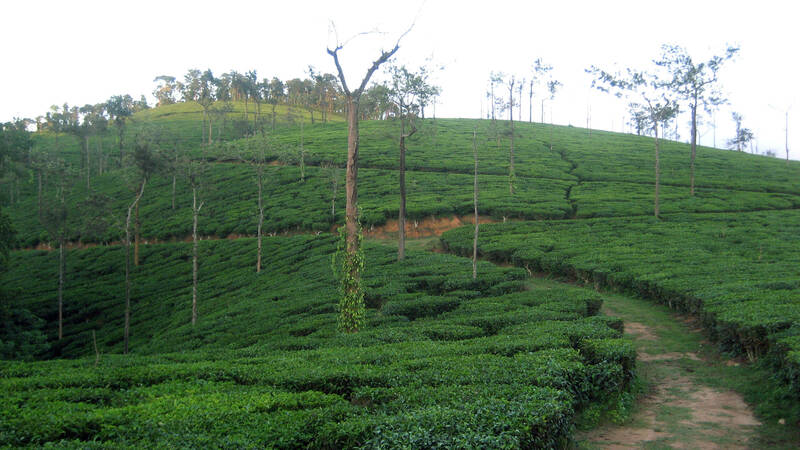 An enchanting hill station, very famous as a weekend getaway for people of Thiruvananthapuram. A must visit place for all those who are interested in clicking pictures of Butterflies , as Ponmudi boasts of having the highest number of different varities of Butterflies. Narrow winding pathways leading to the top of mountains , trekking in the meadows , and a cool green scenery make this place an ideal place for family picnics and rest holidays. 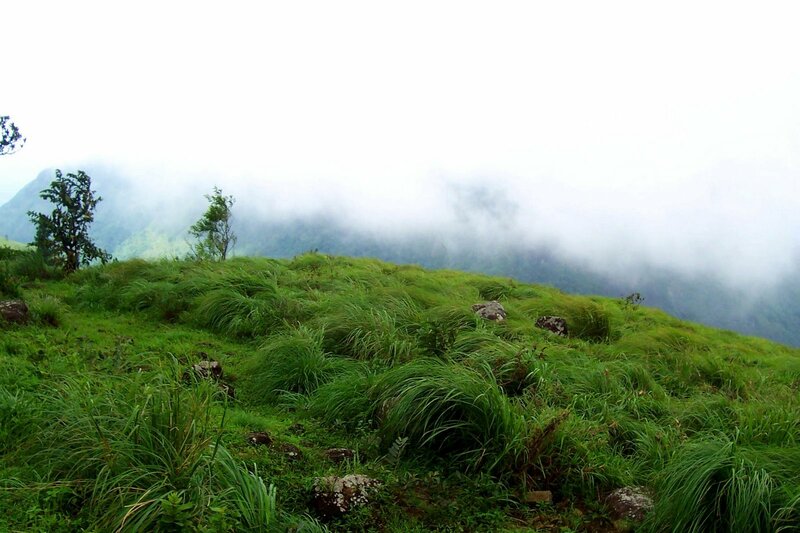 With its mist covered valleys Ponmudi is fast developing as a hill resort with cottages and dormitory accomodation facilities. A tiny plantation township in Central Travancore , having an overtone of never ending line of lush green hills , breath taking ravines and meandering rivulets. 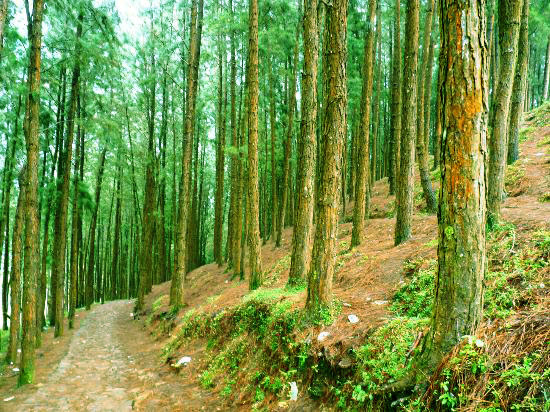 A perfect tourist place situated at 1200 mts above sea level , surrounded by scenic beauty of tea gardens , murmuring pine forests , small waterfalls and attractive meadows. As far as for those who love trekking , its an ideal place for them as they can across the chain of three hills , The Thangal hill , The Murugan Hill and the Kurisumala hill. 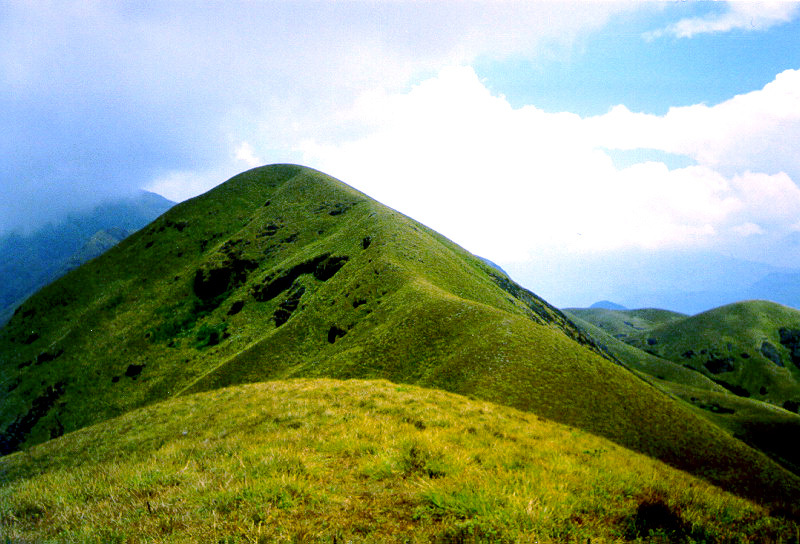 The three hills are also considered sacred by Muslims , Hindu and Christians respectively. Kurisumala Hill also inhabits the little dairy farm of Kurisumala monks , which is also a not to be missed site of Vagamon. Coming to the end , Alleppey , but being on end doesnt negate its importance infact for me its the main infact the never never to be missed location of Kerala Gods Own Country. 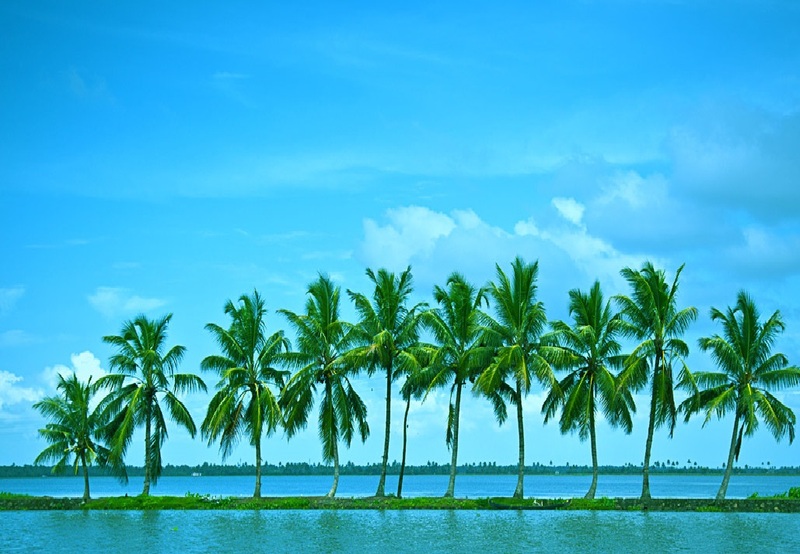 Alleppey is one of the most important tourist centers in the state, with a large network of inland canals earning it the sobriquet “Venice of the east”. These large network of canals provide Alleppey its lifeline. Alleppey was one of the busiest centers of trade in the past with one of the best known ports along the malabar coast. Even today it retains its charm as the centre for Coir carpet industries and prawn farming. Alleppey the ideal headquarters for backwater tourism as well as for visits to the lovely church filled town of Kottayam, and the town of Aranmula, famous for its historic Aranmula Snake Boat Race which is an annual event. Alleppey is also known for its spectacular snake – boat races held on the second Saturday of August, every year. This competition – the Nehru boat race takes its name from India’s first prime minister Jawaharlal Nehru, who inaugurated in 1952. It is excitement all around as snake – boats , each manned by over a hundred oarsmen, cut through the waters like wind. The event is a tremendous success with tourists and the local population alike. The boat cruise along the backwaters of Alleppey give one first hand experience of the life style; toddy tapping, fishing for small fry, Coir-making, prawn farming etc., which remains more or less unchanged over the years. Very soon i would be on the road driving from New Delhi To kerala gods own country , bringing more of information about Kerala and above all the enchanting pictures of Kerala – God Own Country. Heritage Mandawa | Century old Haveli | How about staying here ?